Did you have the opportunity to check out our Stampin Sisterhood blog hop yesterday? If not, you can scroll down to my post from yesterday to get the details. 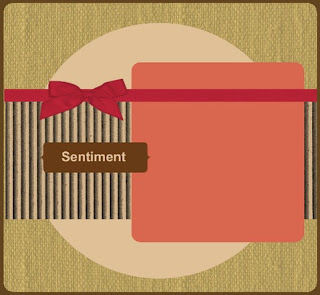 You won't want to miss out on the chance to win a free stamp set! 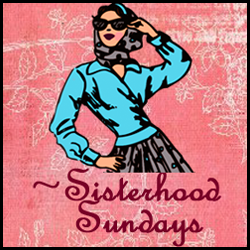 Today brings us to another Sisterhood Sunday, #SS12. I was inspired to make yet another Easter card using another cute Rubbernecker bunny image. This one is called Carrot Bunny, and I colored him with Copic markers. That's liquid applique on his bunny tail. My card measures 5 1/4" square. I had to pull out my Coluzzle circle cutter to get a circle large enough to fit the sketch design. My colors are Brilliant Blue, Bashful Blue, and Certainly Celery. My stampin' sisters Ellen, Judy and Julia also made some terrific cards. 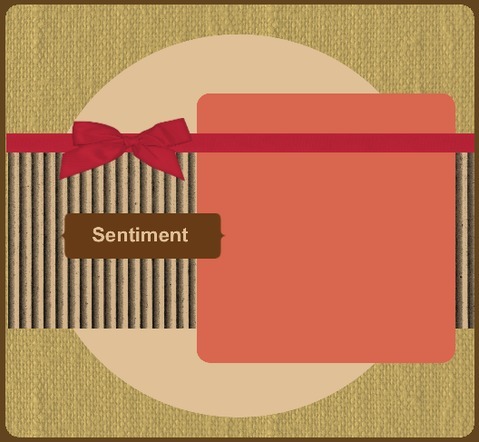 You can see them on the Stampin Sisterhood blog. Awww! Your little Easter bunny is ADORABLE! Love the puffy tail and of course the gingham paper! Your coloring ROCKS girl! This little grey bunny is so sweet and looks so happy with his load of carrots Charlene! the blue gingham paper is a perfect backdrop for him! This is so cute!! Great inspiration to get off the computer and make something cute for my granddaughter for Easter!! You have been given an award. Check out this link Sistah!! This is so adorable. Cute bunny and wonderfully colored. I love that layout. Thanks so much for your concern for me during the storms we had. What a great take on the sketch, Charlene! I love the little bunny and those blues and greens are so pretty! Great job! This is just too cute, Charlene! I'm loving the rich blue...which I don't really think of for Easter or spring...you've shown my it totally works. Your coloring is perfection, and the applique on the tail is a wonderful little detail.